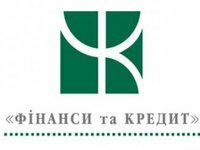 Kyiv-based PJSC Bank Finance and Credit has announced a default on $100 million in loan participation notes (LPNs), reporting via its subsidiary Finance & Credit Ukraine B.V. that it has been declared insolvent. "Pursuant to decision No. 171 dd. 17.09.2015 of the State Individuals Deposit Guarantee Fund, the Borrower has been placed under temporary administration for the three-month period until 17.12.2015," the bank reported on the Irish Stock Exchange. As the bank said, under Article 36 of the Law of Ukraine on the system of guarantee of deposits from individuals, "steps cannot be taken during the administration period to enforce the following: any claims of creditors to the Borrower; any lien or foreclosures against the Borrower; any default interest, penalties and fines on any agreement made with the Borrower; any offsets of assets and liabilities of the Borrower; accrual of any interest or fees on liabilities of the Borrower." Bank Finance and Credit was founded in 1990. The ultimate beneficiary of the bank is Ukrainian businessman and MP Kostiantyn Zhevaho, who is a majority shareholder and CEO of Ferrexpo, a major iron ore pellet producer and exporter. Bank Finance and Credit ranked 10th among 127 operating banks in the country as of July 1, 2015, in terms of total assets worth UAH 38.882, according to the NBU. Its liabilities to individuals as of July 1, 2015 totaled UAH 16.98 billion, including UAH 11.61 billion pegged to foreign currency.